Recycling is collected on a bi-weekly basis. Please refer to the Curbside Collection Schedule for more details. For more information, please call Engineering Operations at 604-526-4691 or email . *To obtain refund where applicable, return these to your local Return-It bottle depot. 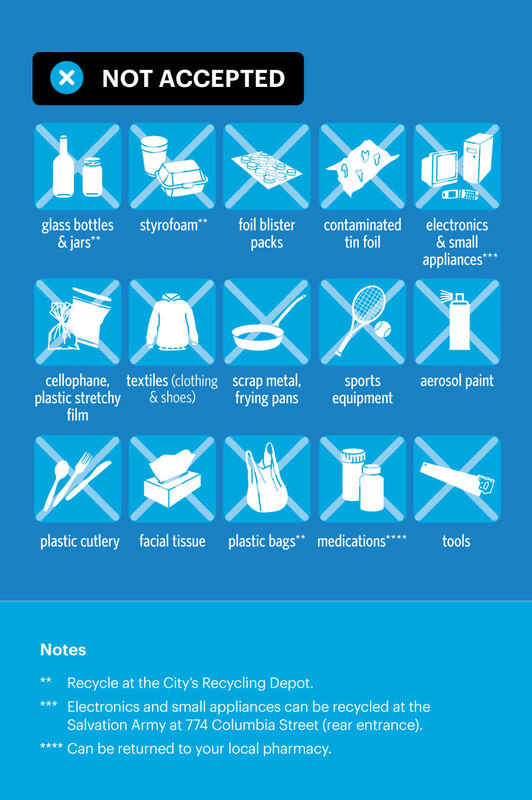 Note: Please do not bag recyclables or tie items together. 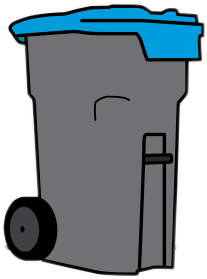 Please place all your recyclables into the single-stream recycling cart. It's quick and easy, no sorting required - just give it a quick rinse and toss it in the cart! Please note: Glass is no longer accepted in your blue cart. Glass must be taken to the Recycling Depot for recycling. **Recycle at the City's Recycling Depot. *** Can be recycled at the Salvation Army at 774 Columbia Street (rear entrance). **** Can be returned to your local pharmacy. Please contact RCBC online or call the hotline at 604-732-9253. Recycling will be collected on a bi-weekly basis. Please refer to the Collection Schedule for more details. 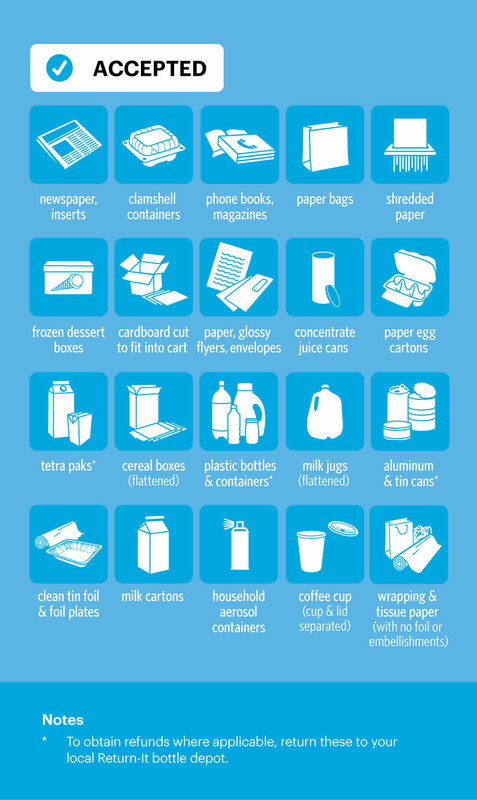 Visit RecycleBC.ca for information on what can be recycled. Search materials using the Waste Wizard, download a full material list, or scroll down to view a summary of accepted materials and where to take them. Contact RCBC's Recycling Hotline at 604-RECYCLE or visit Recyclepedia. Review the index of materials and where to take them or download the app.